Miles Ryan’s life seemed to end the day his wife was killed in a hit-and-run accident two years ago. Missy had been his first love, and Miles fervently believes she will be his last. As a deputy in the North Carolina town of New Bern, Miles Ryan not only grieves for Missy, but also longs to bring the unknown driver to justice. Then Miles meets Sarah Andrews. The second grade teacher of his son, Jonah, Sarah had left Baltimore after a difficult divorce to start over in the gentler surroundings of New Bern. Perhaps it’s her own emotional wounds that make her sensitive to the hurt she first sees in Jonah’s eyes, and then his father’s. Tentatively, Sarah and Miles reach out to each other. Soon they are both laughing for the first time in years . . . and falling in love. Neither will be able to guess how closely linked they are to a shocking secret—one that will force them to question everything they ever believed in . . . and make a heartbreaking choice that will change their lives forever. 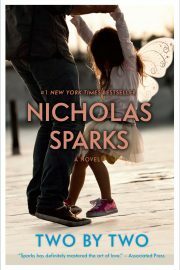 In A Bend in the Road, Nicholas Sparks writes with a luminous intensity about life’s bitter turns and incomparable sweetness. His affirming message carries a powerful lesson about the imperfections of being human, the mistakes we all make, and the joy that comes when we give ourselves to love. I had hoped to start writing the novel in January of 2000, but a couple of things happened that month. My third son was born, and I found out that the drugs my sister was taking to control her cancer were no longer working and that time was beginning to run out for her. I spent the first six months of that year flying back and forth across the country to visit with my sister. Though I’m glad I did it, it was just about the most heartbreaking thing I’ve ever gone through. Every time I went (every ninth day, I flew out for four days), my sister was a little worse. Yet, she always smiled, she never bemoaned her plight. She was certain she would beat her cancer, right up until the end. Unfortunately, she didn’t, and she passed away in early June. During those six months, I tried to write a novel, but it wasn’t working. With my new son and my sister’s situation, I couldn’t concentrate long enough to make any writing worthwhile. Though I finished about 200 pages, there wasn’t enough of a story to justify continuing with what I’d written, unless I solved the problems inherent in the story. So I asked my editor to come down to help me with the problem. Even working together, we couldn’t solve the problem and my editor finally suggested we come up with a new plot. “In the past,” she said, “you’ve always drawn on your family for inspiration. Who are you thinking about now?” “My brother-in-law,” I said. “Here he is, a nice young guy and suddenly he’s a widower who has to raise his kids on his own.” “Let’s work with that,” she said, and the first character became Miles Ryan, a widower, who had to raise a son on his own. The basic idea for the story flowed from there and by the end of the day, I knew exactly what the story would be. Why the two narrative voices? To add the necessary conflict to the relationship between Miles and Sarah. 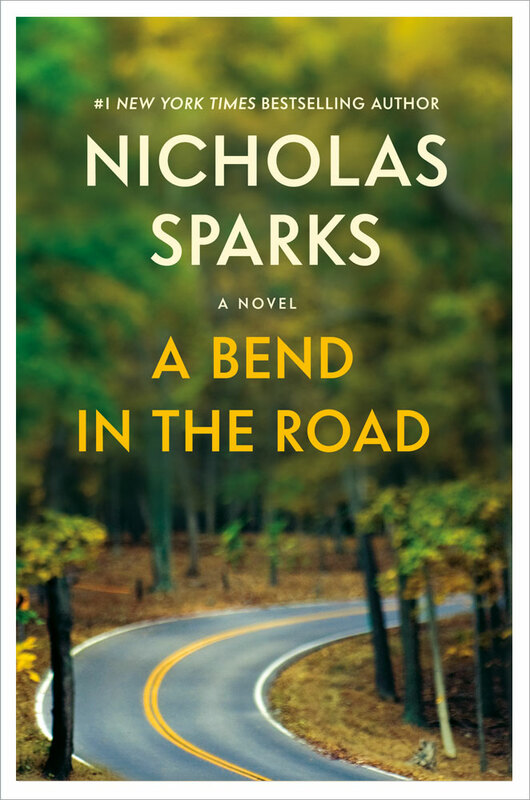 See Notes on the Writing of A Bend in the Road. 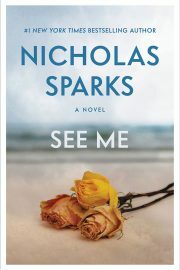 This was the first novel with a “bad” character. Why did you do that? 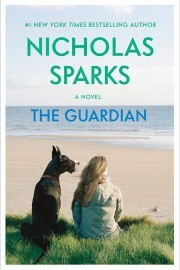 The theme of this novel is love and forgiveness, and the plot itself required the introduction of a “bad” character to keep the conflict from coming to a premature conclusion. 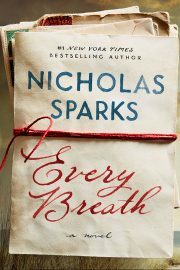 Unlike your previous novels, this one didn’t make me cry. Why? Perhaps because of the theme, love and forgiveness. Forgiveness usually doesn’t make people cry. The ending wasn’t tragic, but it wasn’t exactly happy either. It was bittersweet. Why didn’t you tell us more at the end? I originally wrote a longer ending, one that more fully explained what happened to Miles and Sarah. However, my agent, my editor, and I all felt that it should be cut. This wasn’t the sort of novel where tying up the end and “putting on a fancy bow” was appropriate. The theme and story were too complex for an ending like that. Should I someday pick up where I left off, there’s enough potential conflict left between them to write an entire novel (no promises, just making note of that fact). How much of this story was true? Very little. Aside from being inspired by my brother-in-law (who isn’t a sheriff, but is a young widower raising two sons), everything else was made up. Are the places described in the novel real? And is there really a Ghost Walk? Most places were real. The location and name of Rhett’s Barbecue were changed for the story, so was the elementary school. The Tavern was a composite of a couple of different bars, but other than that, most places were real. There is a Ghost Walk in New Bern. Was the ghost story told by Mrs. Hawkins a real story that you’d heard? It was a blend of ghost stories I’ve heard in this area. I changed parts to make it more compatible with the story. Miles wasn’t as experienced with women as some of your previous male characters. Was he drawn from your own experiences or those of someone you know? I suppose. There was a time when I found talking to females a little scary, but then again, I married at 23, so I wasn’t in the dating game all that long. Where did you get the idea for having a dog charge out of the bushes at Missy? That actually happened to me once, back when I was in high school. I was doing a training run in the evening (summers in Sacramento can be very hot), when a dog did just that. Had there been a car in the road, I would have been hit. Garrett Blake in Message in a Bottle and Miles Ryan are both young widowers. How were they different? Aside from having completely different personalities, the primary difference was how they were feeling when the novel opened. Garrett wasn’t ready to move on and find someone new, whereas Miles was. Where did the names of your characters come from? Miles Ryan was named after my two oldest sons. Landon (my third son) had already been used in A Walk to Remember, and I didn’t want them to feel left out. Sarah Andrews was named after the children of friends: Sarah and Andrew. Will A Bend in the Road ever be filmed? I don’t know. It was optioned and the rights have reverted back to me. I haven’t offered it again, nor do the studios seem particularly interested at the present time. Still, it’s important to realize that The Notebook was finally in theaters seven years after the novel was published.